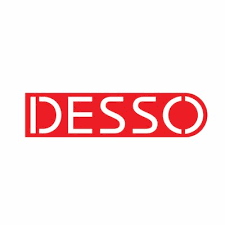 Desso Our Partner in Quality Flooring. Desso focuses primarily on superior floor design and Cradle to Cradle® in providing high quality carpet tiles and broadloom. Today, most people spend 90% of their time indoors. This makes it imperative that we create healthy interiors. Desso believe in the responsibility to develop products that contribute to a heathier living and working space for its commercial and consumer customers. Desso’s innovation strategy is concentrated in 3 key areas: Creativity, Functionality and Cradle to Cradle®. For Desso, creativity is synonymous with CARPETECTURE®, which is a powerful example of Desso’s commitment to creative carpet design and its dedication to meet the needs of architects, interior designers, building owners and end users. In the field of functionality, Desso develops pioneering solutions that make a difference for health and wellbeing. As a result of this innovation and creativity strategy, Desso has launched a number of patented products like DESSO AirMaster®, for 8 times lower fine-dust concentration in the air (versus hard floors), and DESSO EcoBase®, which enabled Desso to achieve a Cradle to Cradle® silver certificate for an entire carpet tile product. ‘The Floor is Yours’..